Home » Blog » Why GO GREEN! Our climate is also changing at an accelerated rate. Energy demands, and costs, are at all-time highs. With this in mind we would like to invite you to “Go Green” with us. “Going Green” is using more environmentally friendly equipment that reduces energy use, in turn reducing the impact on our planet. We offer many solutions that achieve these goals, and as a nice side effect… saving you money on your energy bills. Pool pump motors have always been “energy hogs”. Homeowners try to limit run-times to cut back on costs at the expense of water clarity and quality. We offer variable speed alternatives to your old “full throttle” pump motor. Either in a full replacement of the pump or a replacement motor. The replacement motors have slightly less in the way of energy savings, but are fully compatible with your current pump body. When you cut a pump speed by 50% you can save up to 90% on electricity for that unit. You can now operate your pool around the clock for substantially less than you paid for 6 hours of run-time a day last year. Pumps at half speed do not take the same wear and as they do at full speed, this product can last much longer. Water quality is much more easily maintained when the body is in constant motion. Algae becomes less of a factor, also water filters better at lower speeds. Another good point to bring up is the noise factor, the new pumps are whisper quiet. No more noisy equipment! Check it out here! Another wonderful, energy saving, technology we can provide to you is LED lighting. These LED lights use less than 10% of the energy their incandescent predecessors, meanwhile lasting much, much longer. These new lights also come with light shows built in to the controller. Think of your pool changing colors without you having to go change that old blue plastic lid. These light shows utilize an array of colors and themes like Red, White and Blue for Fourth of July parties. Or light your pool up with your child’s favorite colors for their birthday party (Fun!). These lights retro-fit into any existing light niches you currently have. There are also models than can be added with less invasive construction methods (no need to bond or ground them). LED technology is not limited solely to fixed lights, we also offer LED enhanced water features. Imagine colored streams of water arcing over the surface of your pool, or “eruptions” of color coming out of your pool (Wow!). The government has also put tighter regulations on gas fired appliances, which includes pool heaters. They now require a minimum of 82% efficiency. We offer models fitting this criteria, as well we offer new Hi-E Lo-NoX models with 90% efficiency ratings as called for by California air quality standards. Gas heaters can be very demanding on fuel. Changing from an older model to a newer more efficient heater can pay for itself within a few seasons. Solar panels can also reduce the heating expense of your pool. Heat pumps and gas fired heaters can be wired to work in tandem, reducing gas emissions. Heat pumps do not function well below 50 degrees Fahrenheit, they may not be ideal for spring or fall operation. We also have Solar covers available. These covers are a thick bubble wrap type of material that floats on top of your pool water. The cover allows solar rays to penetrate the cover warming the pool and then trapping that heat. These are great supplemental heating devices, as well they help to retain more heat when the pool is not in use. We also have storage and handling solutions for these covers that allow you to roll them up when the pool is in use. We have wonderful new pool return fittings which mix in heat and chemicals more quickly into your pool, further promoting efficiency. Lastly, on the note of savings, we have in-line chlorine generators. These generators turn salt water into chlorine. Typically we bring your pool to about 3500ppm of salt content. Then the generator does the rest. When the chlorine it generates “dies off” it reverts back to salt, which is turned back to chlorine. You can basically recycle your chlorine now. Plus no more heavy buckets of smelly and corrosive chlorine products laying around. These units will pay for themselves within a few seasons typically. On top of all these products discussed, we have automation services. Automation makes all of your equipment work seamlessly. These units can be set up with in-home control panels or be linked up (either via wired or wireless connection) to your router. You can access your pool on the go with your handheld device. Check the temperature from work, or turn on the spa before you drive home so it is ready upon arrival. 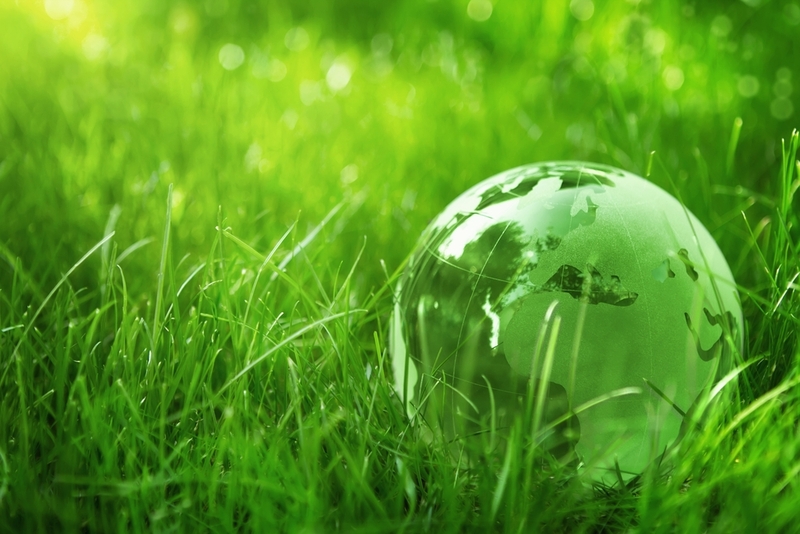 We are proud to offer environmentally responsible technologies to you. Let us help you design and create your own private paradise in your backyard. Help us “Go Green” and save the planet, meanwhile saving yourself on energy costs. We would like to thank you for your time and continued patronage. We look forward to answering any questions you may have about these products.